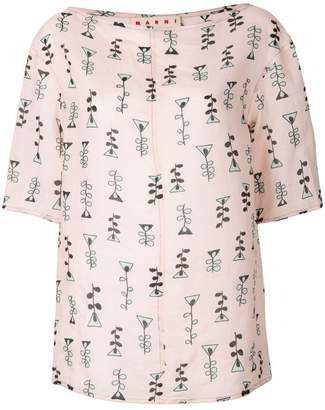 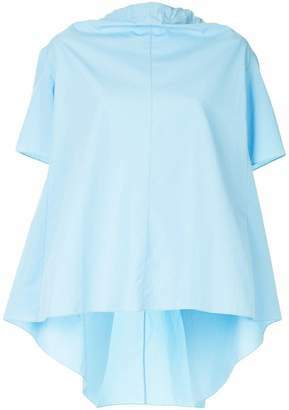 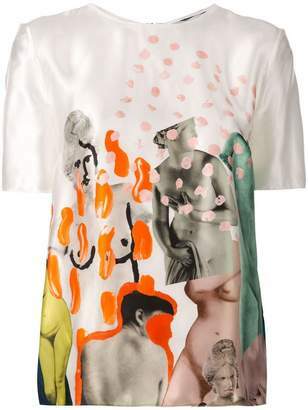 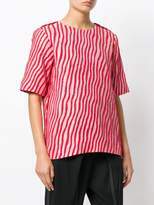 Marni is defined by a colour blocking, ovoid structures and beautifully draped asymmetry. 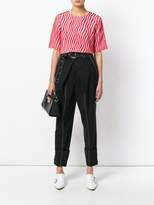 Redefining the ideology of classicism in relation to dressing, Marni is high on the list of any discerning lover of minimal ready to wear. 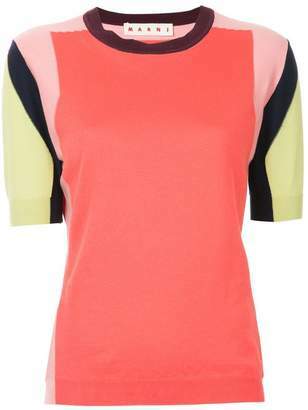 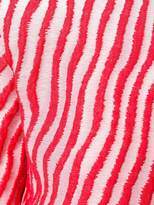 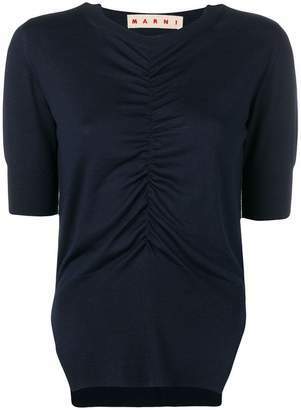 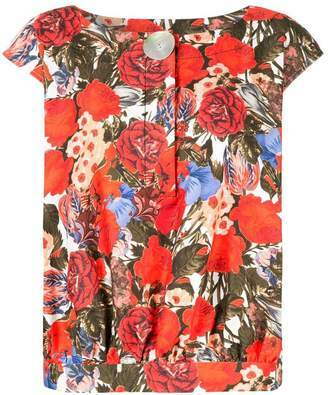 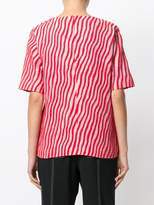 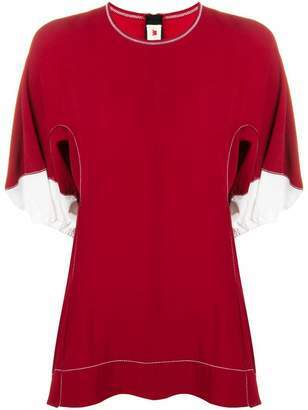 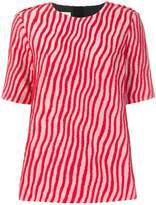 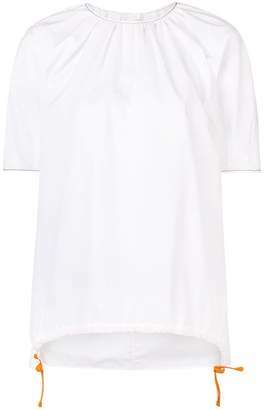 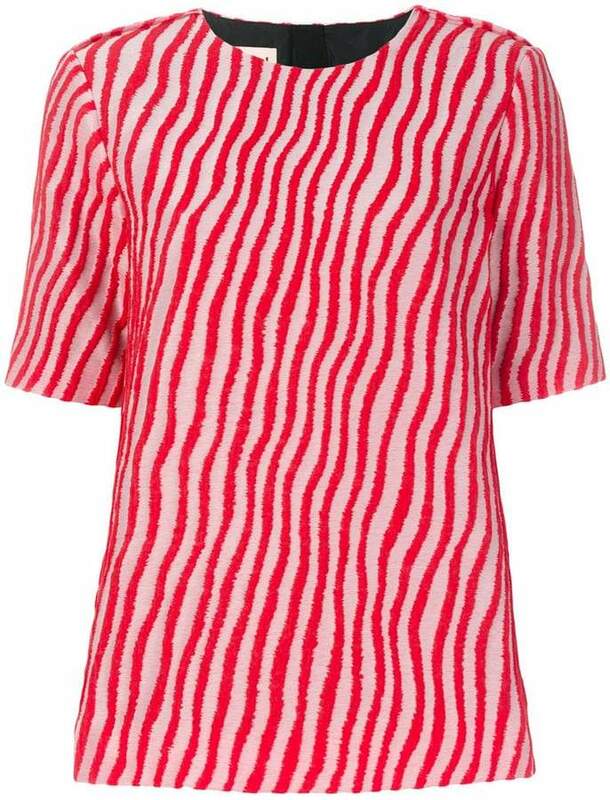 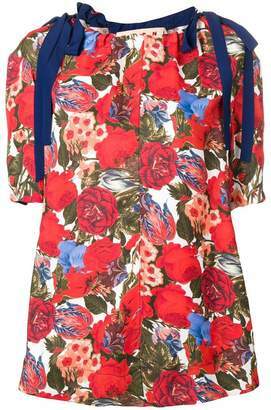 Red cotton blend wave striped blouse from Marni featuring a round neck, short sleeves and a concealed rear zip fastening.